Together, Tip-ex and Tank-ex form the UK's only national event for the tipper, tanker and bulk haulage industries. The 2018 shows, paired with Drain-ex, saw more than 150 trucks go on display in and around the Harrogate Convention Centre. All of the major truck manufacturers exhibited, along with the bodybuilders, the tanker suppliers, the tipper bodybuilders, the tipping gear manufacturers and many more. Read the Commercial Motor show review, view the show highlights video here or take a look at our photo gallery. We want to hear from all our exhibitors, visitors and entrants. It’s a fantastic event. I went there on the first day to talk business. On the second day I went with all the family. On the third day we took all the drivers. Every day was brilliant and we loved it. See who's coming to the show - check out the A-Z exhibitor list here. · This year’s Tip-Ex-Tank-Ex show will feature a conference programme in a new staged area. This will focus on safety in the morning and innovation in the afternoon on Thursday and Friday, with a mixed session in the morning on Saturday. To learn more about the types of categories which will be covered in the sessions click here. 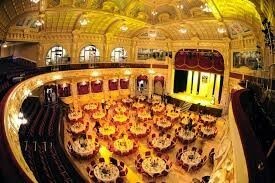 We are excited to announce that this year we will be holding the annual Tip-ex Tank-ex Awards and Gala Dinner at the Royal Hall in Harrogate. Conveniently located in the Harrogate Convention Centre, this opulent venue provides the perfect backdrop to host clients or reward your staff for their hard work this year. With a hilarious host, delicious food and an after party to remember, you won’t want to miss out! To see more information about why you should get involved click here. Together, Tip-ex and Tank-ex form the UK's only national event for the tipper, tanker and bulk haulage industries. The 2018 shows. 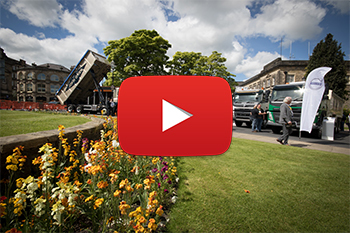 paired with Drain-ex, saw more than 150 trucks go on display in and around the Harrogate Convention Centre. All of the major truck manufacturers exhibited, along with the bodybuilders, the tanker suppliers, the tipper bodybuilders, the tipping gear manufacturers and many more. View the show highlights here.